I love task cards so much. Who doesn’t?! 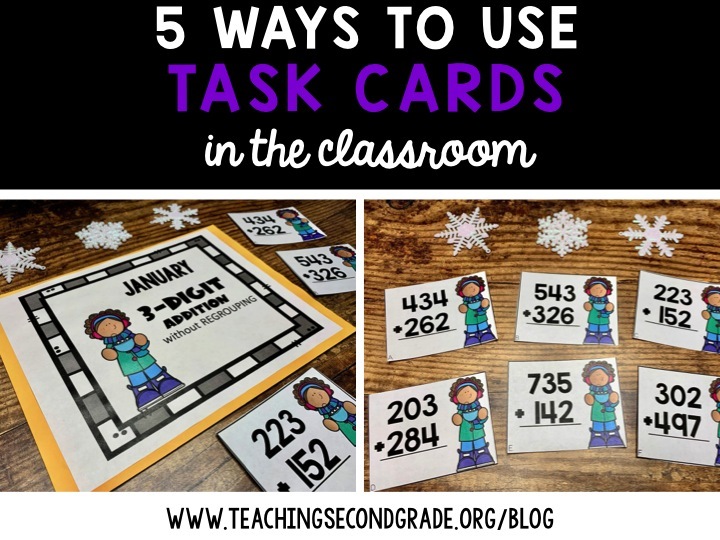 I’m sure if you’re reading this post right now, it’s because you love task cards just as much as I do, maybe you’re looking to spice up your “task card game” in the classroom, or maybe you’re brand new and want to start implementing task cards now. If you’ve never tried task cards before, you can try some here for free. Whatever your reason may be, I hope this blog post helps you, inspires you and motivates you to take task cards to a brand new level. This is my go-to implementation for task cards. I love “hiding” task cards around the room and letting my students explore and solve. All the students need are a clipboard, a pencil, and off they go! I love to make it intriguing for them by telling them I found some really good hiding places that I think they’ll have trouble finding. Little voices fill my room with “I think I found the super hard one!” I love it! Another great way to use task cards while also getting students moving and engaged is through a classroom scoot. This is very similar to “Solve the Room” but it’s a little bit more organized as students are moving from desk to desk as opposed to all over the classroom. I like to place a different task card at each student desk, and with a recording sheet, students move from desk to desk solving each problem or answering the question. I like to incorporate a timer so that the students all move to a new desk at the same time. This is like the basketball game but with a math twist put on it. You will need to divide your class into two teams. Take one task card at a time and display it on your Elmo (or some projection system) for the students to see. One student from each team will need to solve the problem. Whoever can answer the question correctly the fastest, wins. This person gets to rejoin their team, while the other person is “knocked-out.” You can also make it interesting by only allowing students one guess so they solve each problem with accuracy and efficiency. Students love this game as it is. Why not add an academic caveat to it? Start by taking your Jenga blocks and writing numbers on them. Students will set up the Jenga tower and then take turns pulling out a block. Whatever number is on the block, students will find that task card and solve the problem. You can laminate the cards and put them on a binder ring. If you want this to be an independent activity with self-monitoring, have an answer key or answers on the back on the card for students to check their own work! After introducing a topic or skill, having these task cards available for students to practice is a great tool. I like to use these folders to keep my task cards organized and students know they can just go and grab a folder when they finish early. Each folder has a set of task cards as well as extra recording sheets. You could even laminate the recording sheet and put a dry erase marker and eraser in the folder to save on paper! Task cards a great way to engage learners and differentiate and I just love the versatility that comes with this resource. If you’re ready to start using some of these ideas now, then check out my Winter Math Task Cards for second grade. Here’s my quick and easy way to assemble task cards and put them right to use in the classroom. 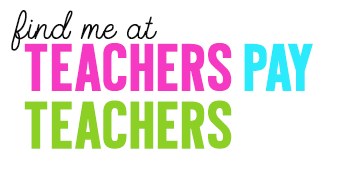 Feel free to leave a comment below and let me know which task card activity you’re going to try in the classroom or another way you’ve used task cards in your room!